Get your cappuccinos from a police box. 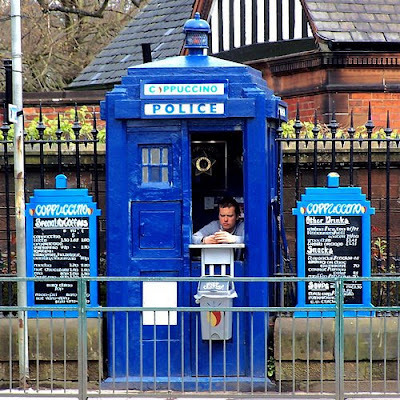 Hint: It's bigger on the inside. Courtesy of Hello, I'm the Doctor.